This children’s picture book tells the story of one multigenerational Navajo family that works, plays, eats, sleeps and shares their lives together in around their family hogan. It is a charming story of how the youngest children’s lives are intrinsically linked to their home and family. The Navajo Hogan is more than just a place to live for traditional Navajo families. It is a traditional home where harmony exists. 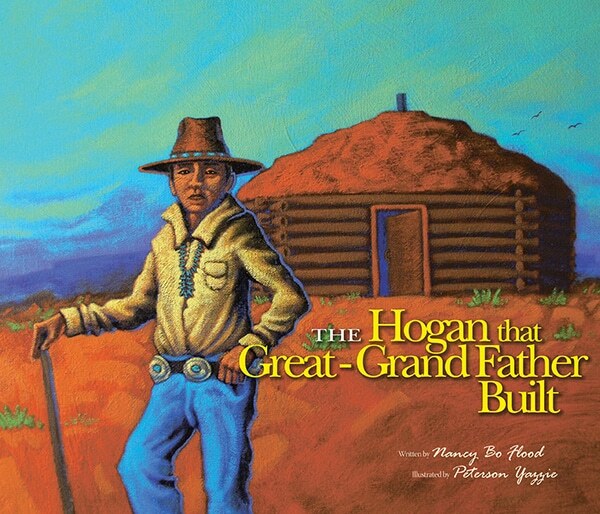 Long ago, Great Grandfather built a hogan for his family as an important aspect of the Navajo way of life. Each morning, a family member would go outside and stand in the doorway facing east giving thanks for their family, the canyons, the mesas, and their home. Navajo people show their respect to the world of nature and acknowledge the reciprocal relationship between nature and humans.